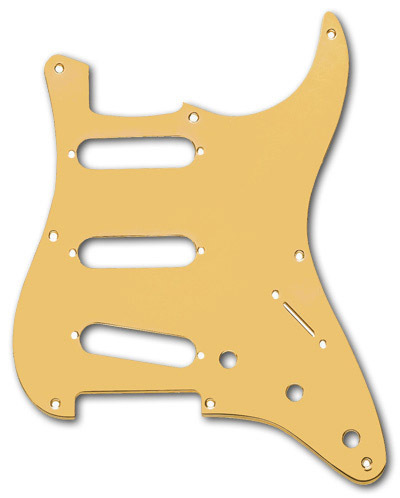 Genuine Fender® '57 vintage Stratocaster® gold anodized, 1 ply, 8 hole pickguard for three single coil pickups. Solid aluminum, brushed gold finish. Approximately 0.050" in thickness. Does not have a beveled perimeter edge. Accepts Phillips oval head pickup and selector switch mounting screws.